There is a concert at a park near our place tonight!!! This would be great for parties! Beef fat is hard to be melt in our mouth and not that tasty when you eat them cold. I made 2 big patties and a couple of small ones. 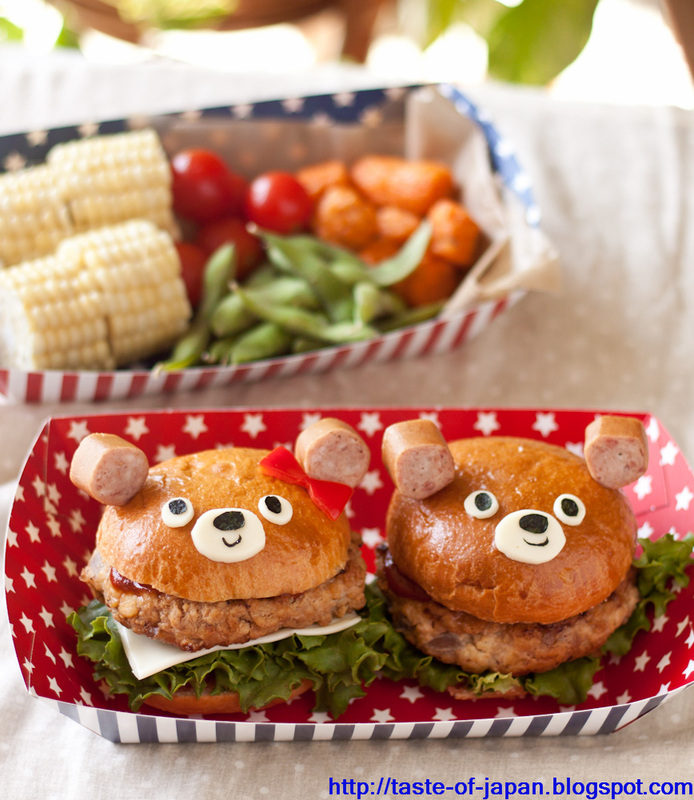 I used the big ones for this sliders and froze the small ones for bento!